There’s nothing quite like a sudden Google algorithm update to leave marketers feeling equal parts confused and concerned. It seems like they wait for you to get all of your ducks in a row and then unleash an update that makes your efforts instantly obsolete. Sure, they’re pretty open about that fact that they’re doing this for everyone’s own good — each algorithm tweak brings us one step closer to more relevant search results, after all. However, there is still some secrecy behind exactly how Google evaluates a website and ultimately determines which sites to show for which search queries. That said, there are a number of tools out there — some free, some paid — that help you to look at your own site the way that Google sees it. These tools are critical to your organic search strategy because they allow you to focus on the elements of your site that Google deems important. In this post, we’ll walk through 10 such tools that all help you run a site analysis like a marketer … and a Google bot! Webmaster Knowledge SEO Analyzer Tool. No registration is needed. Put in your URL and go. Another great feature of Google Webmaster Tools is PageSpeed Insights. This SEO tool measures the performance of both your desktop and mobile site in terms of speed. With mobile search queries surpassing desktop searches, page speed is becoming increasingly important to businesses that want to hold on to their visitors. “PageSpeed Insights evaluates how well a page follows common performance best practices and computes a score from 1-100 that estimates its performance headroom,” according to Google Developers. That score can be Good, as in 80 or above; Medium, as in 60 to 79; or Low, as in 0 to 59. SEMrush is a super elaborate dashboard that reports on the performance of domains as a whole and their specific pages. The website offers numerous toolkits, one of which is an SEO toolkit. Below is one of the toolkit’s flagship features, allowing you to plug in a website page to see for what keywords it’s ranking, what the page’s rank is for that keyword, the keyword’s monthly search volume, and more. The rest of the SEO toolkit allows you to compare your page performance to competition, analyze backlinks from other websites to your site (also known as link building), research appropriate keywords, and take advantage of similar on-page SEO opportunities. Back in 2007, HubSpot released a tool called Website Grader that helped businesses uncover search engine optimization opportunities. Because a lot has changed since then, the company has released a new and improved version of the tool. Performance. The tool will analyze your site’s page size, requests, speed, and similar key SEO metrics. Mobile Readiness. The tool will see if your website is mobile-friendly in terms of responsiveness and viewport settings. SEO. The tool will determine if your website is easy to find — both by humans and bots. This determination will take factors like page titles and meta descriptions into consideration. Security. The tool will look for things like an SSL certificate. This serves as a way to prove to visitors that your site is both authentic and safe for contact information submissions. All you need is your website URL and an email address to get started. Simply plug in your information and you can expect a score (1-100) as well as a detailed report in a matter of seconds. Aside from Website Grader, HubSpot also has a handful of paid SEO tools to help you better direct your efforts. For example, within the HubSpot Blogging App, users will find as-you-type SEO suggestions. This helpful inclusion serves as a checklist for content creators of all skill levels. HubSpot customers also have access to the Page Performance App, Sources Report, and the Keyword App. The HubSpot Marketing Platform will provide you with the tools you need to research keywords, monitor their performance, track organic search growth, and diagnose pages that may not be fully optimized. To ensure that your links on a webpage — whether external or internal — actually work, consider Check My Links. This broken-link checker makes it easy for a publisher or editor to make corrections before a page is live. Think about a site like Wikipedia, for example. The Wikipedia page for the term “marketing” contains a whopping 711 links. Not only was Check My Links able to detect this number in a matter of seconds, but it also found (and highlighted) seven broken links. The tool highlights all the good links in green, and those that are broken in red, making it easy to spot the ones that don’t work or are no longer active. BuzzStream might be the most inexpensive way to manage your outreach to the people who can provide inbound links to your website. 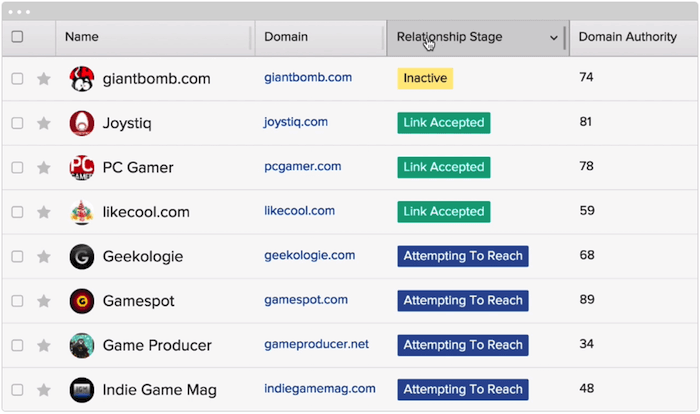 BuzzStream helps you identify candidates for outreach based on their industry and how engaged they are across various social networks — so you know who will be most receptive to your backlink request and boost your ranking on Google. The Moz Pro subscription serves as an all-in-one tool for increasing your business’ search ranking. Moz’s collection of research tools provides subscribers with the resources they need to identify SEO opportunities, track growth, build reports, and optimize their overall efforts. 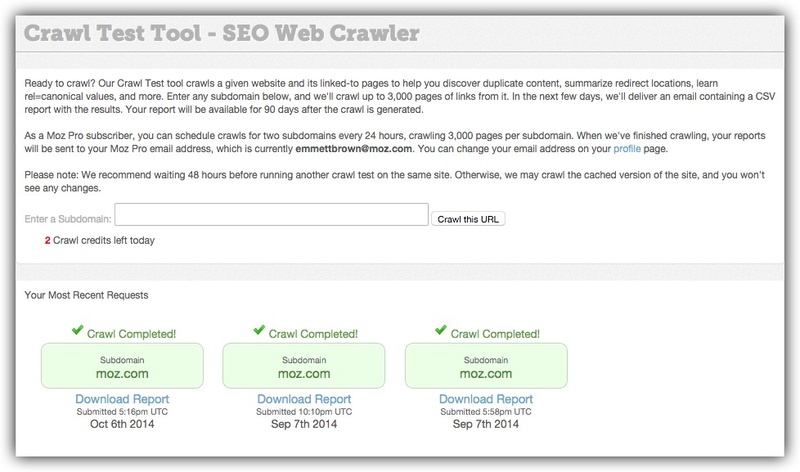 For example, the Crawl Test tool employs Moz’s own web crawler, RogerBot, to analyze up to 3,000 links on a given URL. Once completed, users then receive an email report that details the data for each page the site links to. This is super helpful if you’re looking to identify “crawlability” factors, such as duplicate content and redirects that could be influencing your SEO performance. SEO Report Card by UpCity lets you analyze your website to determine how it stacks up against your competitors. Rank Analysis. A snapshot of where your website ranks on Google, Yahoo!, and Bing. Your ranking is based on the main keyword you select when putting information in to build the report. Link Building. A detailed account of the number of websites that link back to your site. On-Site Analysis. A look at how successful you were in incorporating your main keyword throughout your site. Website Accessibility. A section focused on your site’s load time and ease of accessibility for crawlers. Trust Metrics. An overview of your site’s level of trust or authority. Current Indexing. An indication of how many of your site pages have been indexed. Woorank‘s in-depth site analysis helps marketers reveal opportunities for optimization and improvement. This analysis takes into account the performance of existing SEO initiatives, social media, usability, and more. Spanning across 70+ metrics, it would be hard — if not impossible — to not uncover opportunities for improvement. As a bonus, Woorank makes it easy for users to download their reviews as branded PDFs. This makes company-wide distribution and presentation more streamlined than ever. The Screaming Frog SEO Spider is a search marketer’s best friend. Designed specifically for the SEO-minded, this program crawls the websites you specify, examining the URLs for common SEO issues. This program simplifies and expedites an otherwise time-consuming process — especially for larger websites. It could take hours or days to manually evaluate the same URLs. The Java program is fairly intuitive, with easy-to-navigate tabs. Additionally, you can export any or all of the data into Excel for further analysis. So say you’re using Optify, Moz, or RavenSEO to monitor your links or rankings for specific keywords — you could simply create a .csv file from your spreadsheet, make a few adjustments for the proper formatting, and upload it to those tools. *Pricing limitations include: You can only scan 500 URLs per website, and you don’t have full access to configuration options and source code features. To remove these limitations, users can purchase a 12-month license for around $160/year. Want to rise above your competitors on search engine results pages? 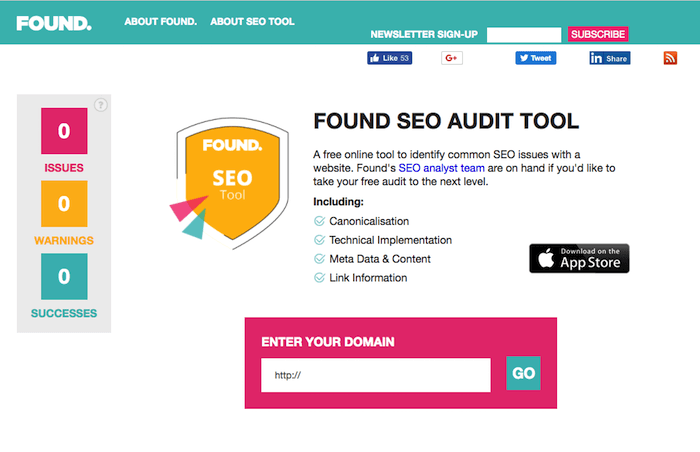 The SEO Audit Tool by Found is an easy-to-use tool for marketers looking to identify (and solve) common SEO errors on a website. Technical issues. This reports on factors like domain canonicalization and XML sitemaps. Content issues. This focuses on influential factors like keywords and meta data. External link analysis. This aims to evaluate the quantity and quality of external links. Similar to Woorank, once you run a report, the tool makes it easy for you to download the results as a PDF to be easily shared within your organization. Have you ever purchased links? Spammed the comments section on a string of blogs using the same message and link? If so, we’ll forgive your bad judgment just this once … but Google won’t. 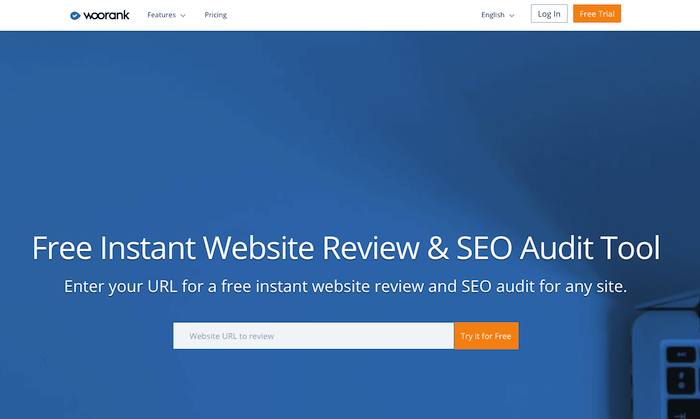 This SEO auditing tool provides users with information regarding their domain strength, links, image SEO, social counts and mentions, page/technical SEO, page speed, and more. The comprehensive report is prepared in less than a minute, and dives deep into different aspects of your website’s performance. You’ll notice that the tool employs green checks, red Xs, and yellow exclamation points to denote the severity of the issue. This section of the report focuses on the strength of the images your website employs by analyzing the alt text. If you’re using too many words, missing alt text, or the alt text appears weak, the tool will notify you so that you can make any necessary changes. You’ll never get a look behind the Google curtain to learn everything they know (or don’t know) about your site. But by leveraging SEO best practices and getting the most out of tools like those listed here, you can greatly increase the chances that your website will show up in response to the right search queries.